78 km southwest of Seinäjoki, lake Aikalajärvi 40 m, hard gently sloping sandy beach, rowing boat (no life jackets). 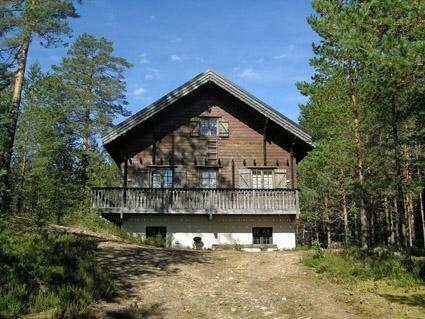 Log villa on two floors built in 2001, on the ground floor kitchen-living room, hallway, bedroom with double bed, shower room, sauna (electric), terraces on two sides. 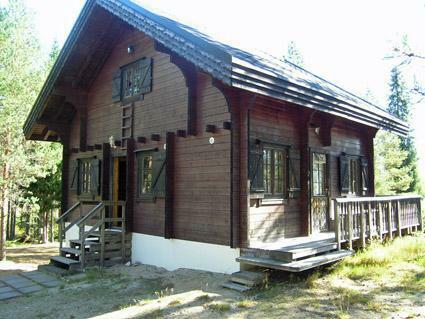 Upstairs two bedrooms one with double bed and two beds and the other with 4 beds. 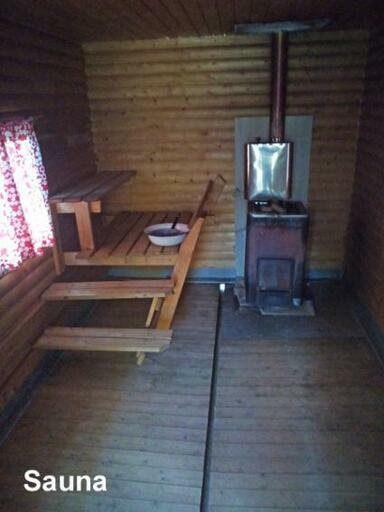 Separate small sauna 200 m away (no electricity), no running water. 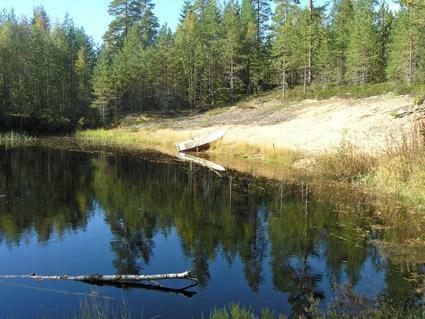 Water must be carried to the sauna from the nearby pond. Water can be heated in the stove's water tank. 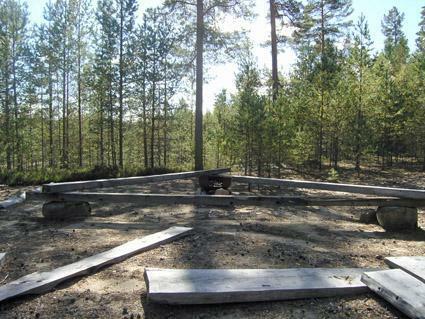 Between the villa and sauna building there are some camping cabins, which are not in use. The yard area has a fire place with seats. 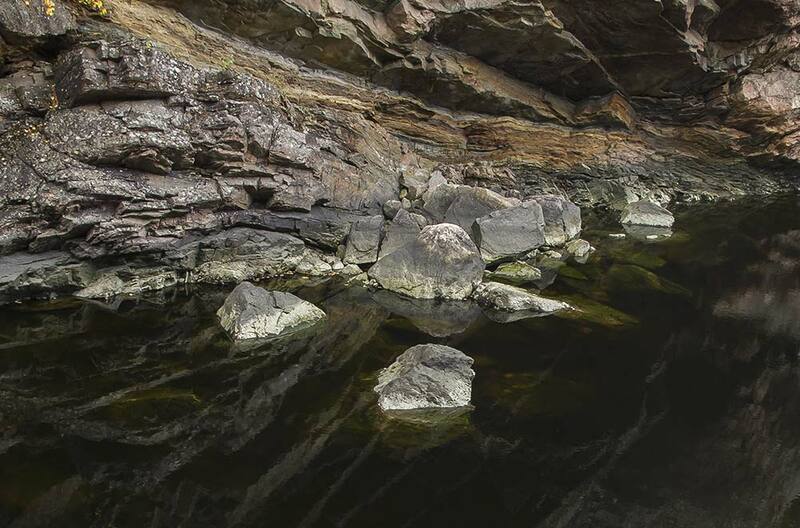 Water in the tap contains iron, which might cause some taste into the water. It's examined and safe to use as household water. Client can also bring drinking water along. 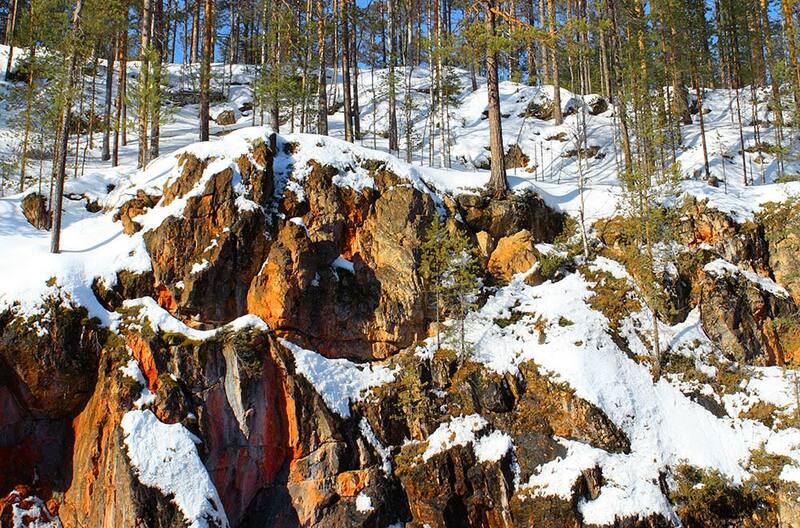 There are hiking trails in the area, Botnia Golf 11 km, Lauhavuori National Park 11 km, Isojoki 20 km, Kauhajoki 20 km, Kristiinankaupunki 45 km, Pori 105 km.